On Aug. 17, 1963, Oswald accepted an invitation to discuss his work for the Fair Play for Cuba Committee (FPCC), a Communist, pro-Castro group. He had made the local TV news in New Orleans for distributing FPCC leaflets and getting into a confrontation with anti-Castro Cubans. In this 35-minute interview you’ll hear Oswald talking about his role as “secretary” for the New Orleans branch of FPCC, offering his views on communism and capitalism, and defending Castro’s Cuba. Oswald’s second radio appearance, four days later, is more famous. In this one, Oswald debated Edward Butler, head of an anti-Communist propaganda organization, and Carlos Bringuier, the leader of an anti-Castro group. Butler had done some background research on Oswald and attacked him on his defection to Russia. At the end of the 20-minute debate, Oswald appeared very upset. The debate seemed to have humiliated him and ended his campaign for Castro on the streets of New Orleans. The Warren Commission looked into what could have shaped and molded a character capable of assassinating a president. From the Commission’s files, here are the conclusions of a pychiatrist, Dr. Renatus Hartogs, and a social worker, Evelyn Siegel, who met with the adolescent Oswald after he had been picked up for truancy in New York City and sent to a juvenile detention center for evaluation. The 20-year-old Lee Oswald defected to Russia in 1959 thinking that he would find there an ideal Marxist society. But he soon became disenchanted with the Soviet Union’s centralized state power and bureaucracy, as well as the contrast between ordinary Russians’ lives and the special privileges granted to Communist Party members. 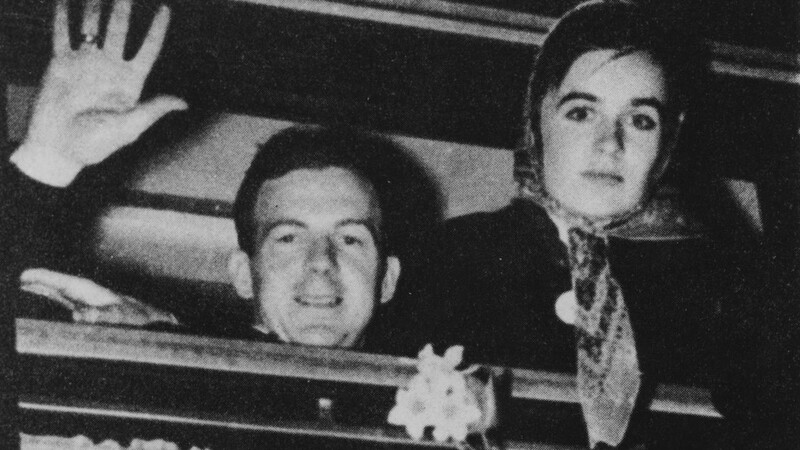 Here are entries from Oswald’s diary in which he describes his changed views of Soviet life after living more than two years in Minsk, his meeting Marina Prusakova (whom he would soon marry), and his decision to return to the United States. Marina Oswald found a note on the night of April 10, 1963 — the night her husband attempted (and failed) to assassinate General Edwin Walker at his home in Dallas. (The single bullet Oswald fired at Walker was deflected by a window frame.) Walker was a virulent anti-Communist, and Oswald viewed killing him as a way to leave a mark on history. The note to Marina suggests that Oswald was reconciled to being caught or even killed in his attempt on Walker’s life. When Oswald didn’t come home on the night of April 10, 1963, Marina went into his study — which he had told her never to enter — and found this note, written in Russian. That night Oswald had attempted to assassinate General Edwin Walker, a virulent anti-Communist. 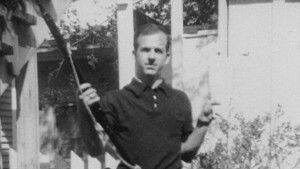 Oswald had prepared a book of operations for the plan, including photos of Walker’s house, the place where he would hide the rifle, maps, and documentation that laid out his reasons for killing Walker. Oswald viewed Walker as a potential Hitler and saw himself leaving a mark on history if he were to kill Walker. The Walker case would not be resolved until after the Kennedy assassination, when Marina Oswald told her story and the Walker bullet was linked to Oswald’s rifle. No co-conspirators were ever identified. This is the key to the mailbox which is located in the main post office in the city on Ervay Street. This is the same street where the drugstore, in which you always waited, is located. You will find the mailbox in the post office which is located 4 blocks from the drugstore on that street. I paid for the box last month so don’t worry about it. 2. Send the information as to what happened to me to the [Russian] Embassy and include newspaper clippings (should there be anything about me in the newspapers.) I believe the Embassy will come quickly to your assistance on learning everything. 3. I paid the house rent on the 2nd so don’t worry about it. 5. The money from work will possible be coming. The money will be sent to our post office box. Go to the bank and cash the check. 6. You can either throw out or give my clothing, etc., away. Do not keep these. however, I prefer that you hold onto my personal papers (military, civil, etc.). 8. the address book can be found on my talbe in the study should you need same. 9. We have friends here. The Red Cross also will help ou. 10. I left you as much money as I could, $50…You and [June] can live for another 2 months using $10 per week. Here is an example (part of the Warren Commission exhibits) of Oswald’s political thinking and ideas on a future society. Written around the time of his assassination attempt on General Edwin Walker in April 1963, Oswald’s thoughts here reflect his search for what he believed would be the perfect society. He was disenchanted with the Soviet system after having experienced it first hand in 1959-1962, yet he disliked capitalism for its exploitation of the working classes. This photograph was one of several taken by Marina Oswald on Sunday, March 31, 1963, in the backyard of the Oswalds’ Dallas apartment. It remains among the most incriminating and controversial pieces of evidence against Lee Harvey Oswald. Marina Oswald testified before the Warren Commisision that she took the photographs. She identified the camera she used and the FBI was able to tie that camera — to the exclusion of all other cameras — to these photographs. Years later, the 1977-78 House Select Committee on Assassinations (HSCA) worked with a photographic panel to study all of the testimony and whether there were incongruous shadows in the photographs, as critics alleged. Oswald had given a copy of the photograph to his friend Geroge de Mohrenschildt and on the back someone had written “Hunter of Fascists” in Russian and Oswald signed it. The House Committee’s experts concluded beyond a doubt the signature was Oswald’s. Any notion that the photo was faked by other people to frame Lee Harvey Oswald would have to explain the fact that Oswald himself signed it. Since New Orleans District Attorney Jim Garrison’s ill-fated investigation of the Kennedy assassination in the late 1960s, one of the most intriguing suspects in a possible conspiracy to kill Kennedy has been David Ferrie. Ferrie was an eccentric New Orleans pilot who had strong ties to Cuban exile guerillas fighting against Castro. In 1963, Ferrie was hired by attorneys for Carlos Marcello, the Mafia chieftain of New Orleans. Marcello was then fighting a deportation order issued on instructions of Attorney General Robert Kennedy. Ferrie was hired to help investigate the case on Marcello’s behalf. Marcello reportedly harbored a deep hatred for the Kennedy brothers, and there is testimony that he talked of killing the president and of hiring a “nut” to do it. Over the years many eyewitnesses of varying degrees of credibility have stepped forward to say they saw David Ferrie and Oswald together in the summer of 1963, but there has never been any hard documentary evidence that the two men knew each other. However, in the 1950s, David Ferrie did command a New Orleans squadron of the Civil Air Patrol, a youth auxiliary of the U.S. Air Force. And in the 1950s, Lee Oswald was a cadet in the Civil Air Patrol and several of Oswald’s fellow cadets have said that Ferrie was one of Oswald’s squadron leaders. In the research for its investigative biography of Oswald, FRONTLINE uncovered the first hard evidence linking Oswald and Ferrie — this photograph taken in 1955 at an overnight encampment of a C.A.P. search-and-rescue squadron. The photo, a group shot of several men and teenage boys around a campfire, clearly shows a young Lee Harvey Oswald on one side of the frame and David Ferrie, wearing a military helmet, on the other side. 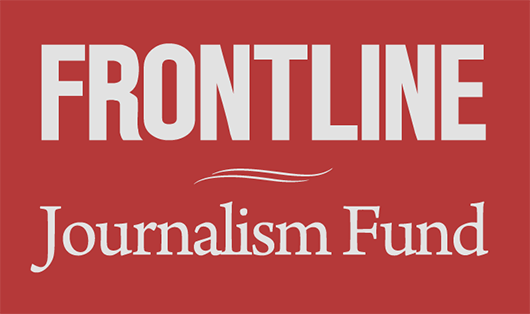 FRONTLINE located the photographer, Chuck Frances, who says he took the picture for the C.A.P. Francis also said that when he was interviewed by the FBI, he told them Oswald and Ferrie knew each other, but he did not tell them about the photograph. The executor of Ferrie’s estate, as well as Ferrie’s godson, also picked out Ferrie. After the Kennedy assassination, David Ferrie told investigators he never knew Lee Oswald. “I never heard David Ferrie mention Lee Harvey Oswald,” said Layton Martens, a former C.A.P. Cadet and a close friend to Ferrie until Ferrie’s death in 1967.